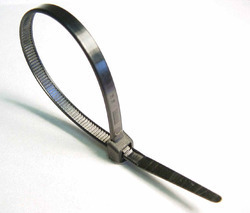 We are leading manufacture of plastic cable ties. If the quantity on bulk, then we make the plastic cable tie as per your drawing and sample. We are one of the most well-distinguished companies in the market that are into offering Plastic Cable Tie. 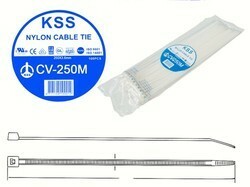 We are offering Plastic Cable Ties to our clients. Nylon Plastic Black Cable Tie - Our widely appreciated range is manufactured in compliance with the Indian and International standards. We trade a wide range of Plastic Cable Ties which today are very versatile product and which is used widely in a number of industries like irrigation to aerospace mainly used as a strap to bind different things together organize them in a systematic manner. We offer the product in standard as well as customized options.